Summer interior decorating ideas and sales are just a few things homeowners are searching for this time of year. This blog features helpful interior decorating ideas and savings on some of the most popular home décor products used in Brooklyn and New York City. This summer United Decorators in Brooklyn, New York is having a summer savings event ’til August 13th, 2018. You can get great savings and rebates on designer fabrics for custom curtains and draperies, Hunter Douglas window shades and custom upholstery craftsmanship. Whether you are renovating or dressing your windows for the first time, this summer saving events will allow you to transform your home or office space without breaking the bank. Use neutral toned sheer fabrics that filter the summer’s rays to reduce sun glare and cast a soft glow throughout your rooms. Don’t be scared to frame your windows in colors. Try pristine blues and romantic pinks or combine white with a vibrant green, in a light and airy fabric to brighten up the summer presence in your space. Don’t overlook the pureness of cotton. Cotton offers a crisp clean feel on custom drapery and window treatments. A sheer cotton fabric can diffuse natural light and allow a room to bask in softened tones. If you prefer to savor the views and not cover up the windows, consider using valances. Adorn your windows with custom draperies to truly enrich your working or home environment. United Decorators is offering 25% off select designer fabrics for custom draperies and side panels until August 13th, 2018. This substantial savings opportunity allows you to truly enrich and showcase your windows within your budget. A room without window treatments such as blinds and curtains looks unfinished and bare. Draperies add extreme personality to any space, transforming a room with breezy sheers or light to medium weight fabrics perfect for summer. Do you have an old chair or sofa hidden from view, one that you love but has become outdated? 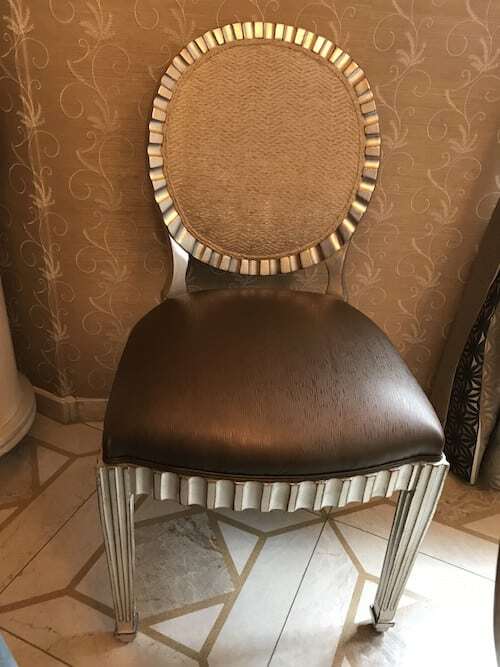 Maybe you have a favorite chair that has become warn from years of use, or maybe you have redecorated and need to reupholster your furniture. Spruce up your space with fresh furnishings at a reasonable cost. The United Decorators Summer Savings Event on select sofa upholstery projects starts at $699 and select chair upholstery projects start at $249, with free pickup and delivery on select custom upholstery projects until August 13th, 2018. Floral upholstery is timeless and gorgeous. Floral designs can be easily incorporated into almost any interior, weather your style is feminine, rustic, classic, vintage, modern or any other. Liven up your dining room by upholstering your chairs with a bold floral fabric. Blue and white stripped upholstery is a summer favorite. The combinations of thick and thin stripes and different shades of blues can work in almost any setting. Just because its summer doesn’t mean it has to be floral. Elaborate patterns can work brilliantly when paired with a solid color. An elaborate print on your sofa paired with black colored cushions and the reverse can work as well. The Summer Savings Event is going one step further this summer with $150 rebate on select qualifying motorized Hunter Douglas window treatments with PowerView® Motorization until August 13th, 2018. PowerView® Motorization adds ease to your life with quiet and smooth motorized window treatments that are simple to use. Lower or raise your custom window treatments automatically, with a touch of a button on the Pebble® remote control, or with an app on your favorite mobile or tablet device. Do you have Alexa or Google Home? You can now use voice commands to simultaneously raise and lower your blinds. 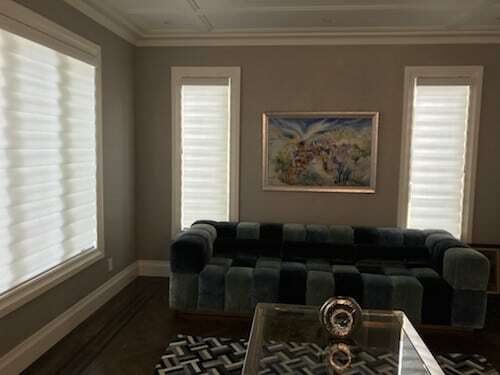 Window shades are a beautiful and practical window treatment that have been around since before 1769, but todays modern blinds are a far cry from its original form. They range from energy- efficient, motorized for ease of use, light filtering, cordless with many other variables and aesthetic designs, but above all else they are all created beautifully and in stunning fabrics. Create the perfect ambient light while blocking out the harsh glare from the sun. The S-shape vanes are engineered appear to float between two sheer panels creating an elegant glow throughout your home or office. When the vanes open, they diffuse the light and provide daytime privacy while still allowing you to take in the views. Create a soft glow and enhance your space by reducing sun glare with beautiful sheer drapery. 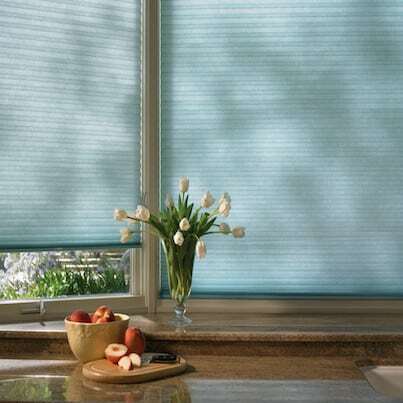 Get ultimate light control and privacy options with Luminette® Privacy Sheers. Luminette® has vertical fabric vanes that rotate 180 degrees. Use filtered natural light in any room to provide a relaxing atmosphere. 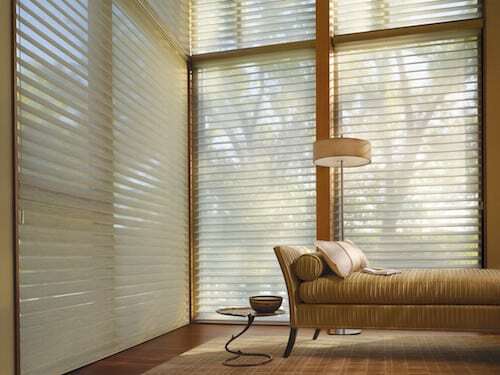 The honeycomb inspired shades trap air within pockets to help retain the temperature in your room. Keep your home and office cool in the summer and warm in the winter. Over 50% of a home’s heating or air-conditioning can be lost through its windows. Summer temperatures in July and August in Brooklyn and New York City can be close to one hundred degrees. 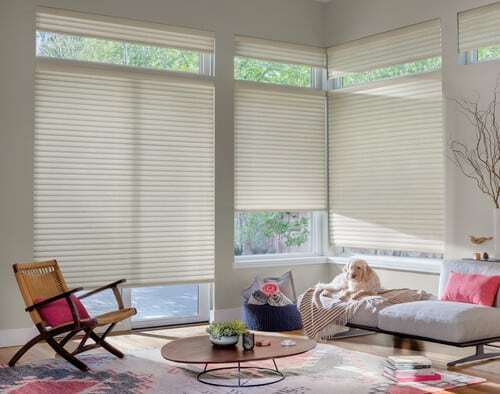 The Duette® cellular shades can help you maintain a cool temperature during the hot summer months. Duette® is available in numerous colors and textures to match any décor and you’ll notice a difference when you receive your energy bill! Made from luxurious fabrics and soft folds this modern elevation of a classic roman blind adds elegance and style to any window. Without the exposed rear cords these shades create a flawless contoured shape and increases child safety. Vignette® Modern Roman Shades are available in a range of styles, fold sizes, light filtering and room darkening options that can be customized to enhance any room setting. This completely cord free window shades has a tidy finished look and offers safer environment for homes with children and pets. Soft lines and stylish fabrics make this shade a stunning choice for any interior space. 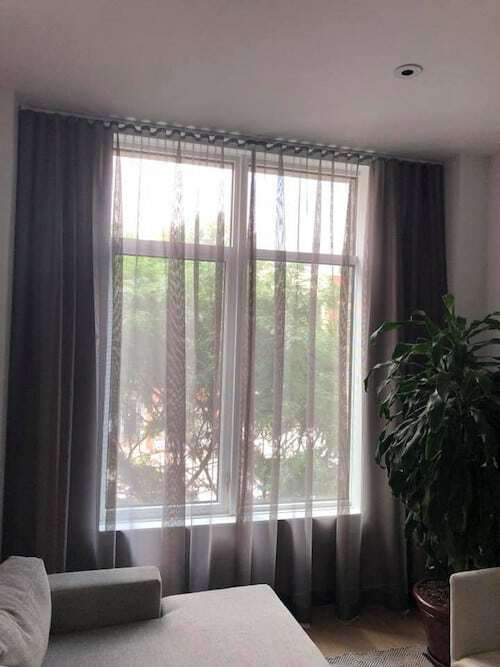 Select from a wide variety of fabrics to choose from including semi-opaque to gently filter out the natural sunlight and room-darkening fabrics giving you optimal control over the darkness of any room. 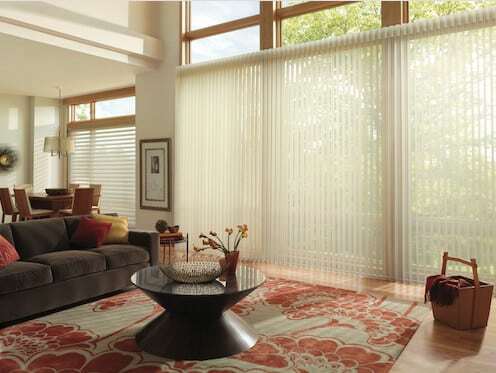 Look into light-filtering fabrics to lessen the light glare and cast a softer aura around your home. Use room darkening materials to gain better control of the light entering your space. Combine light toned window shades that diffuse the summer sun and combine draperies to add personality and brightness. Are you ready to transform your home of office at a savings this summer? 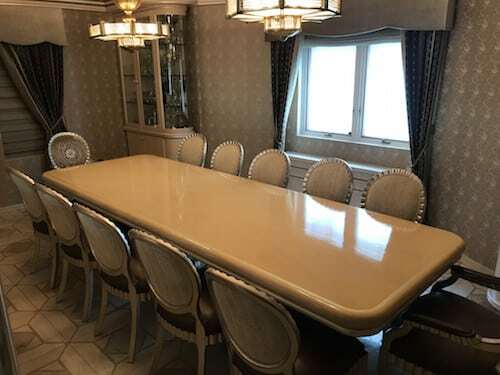 Contact United Decorators for your FREE design consultation or call 718-253-9300 to schedule an appointment.